At Double Denim, we have a SAY YES attitude. Especially when it means devising new ways of doing things. Does your social media team need a rark up? Are you looking to break down silos in your organisation? If you need a highly collaborative way to create powerful content, and draw creative voices into the process, a Content Creation Sprint for your agency or campaign could be your solution. For the digital campaign for A Waka Odyssey, the opening event of the New Zealand Festival in Wellington, we were dealing with big ambitions, and a small budget. We knew this needed a unique treatment. We needed to welcome New Zealand on board to start a conversation. The kaupapa of A Waka Odyssey is rich with content, and endlessly compelling. 3000 years’ worth of Pacific voyaging history was staged on the harbour for the event. 23 pieces of digital content, 23 days — how did we do it? We mixed the concepts of a sprint or hackathon, teamed with the time pressures of an event like the 48 Hour Film Festival, to create a Content Creation Sprint. 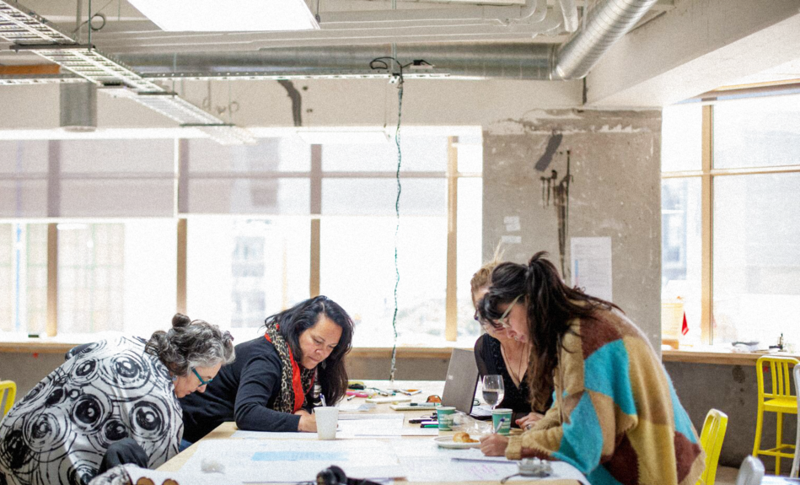 Working respectfully within the kaupapa of A Waka Odyssey, we brought together seventeen creatively-charged sprinters with big ideas and motivation. Give us a call to run yours. Email us here, and connect with us on LinkedIn or Instagram for more thought leadership and updates.